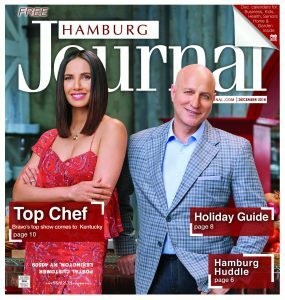 Home Cover When does Bravo’s Top Chef Kentucky premiere? Burgoo. Hot Browns. Benedictine. Derby Pie. 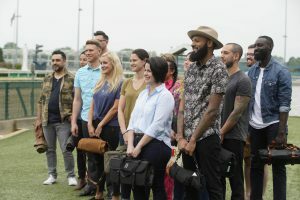 Top Chef has come to the great state of Kentucky for season 16 and Kentuckians can finally watch the results in December when the Bravo series airs. 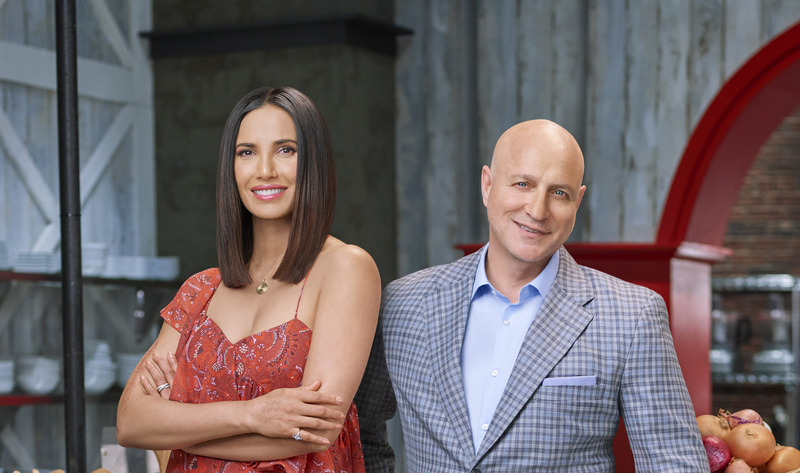 Earlier this year, Bravo announced that Top Chef would head for the bluegrass state for a southern twist on the popular cooking show. 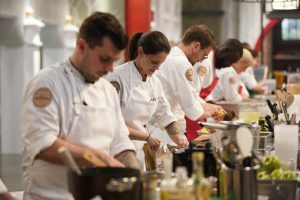 “We are always looking for rising culinary destinations and are looking forward to planting our flag in Kentucky and soaking up a diverse region of the country that we haven’t yet explored on Top Chef,” said Shari Levine, Executive Vice President, Current Production, Bravo Media. People on the west coast don’t even know that beer cheese exists! “People on the west coast don’t even know that beer cheese exists!” he adds. 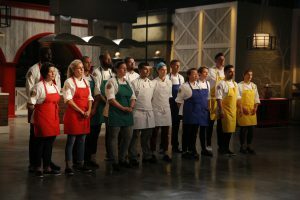 Celebrities who participated in Season 16 include Emeril Lagassé, Eric Ripert, Jonathan Waxman, Art Smith, Nancy Silverton, and former Top Chef competitor Richard Blais. Actress Lena Waithe, musicians Hunter Hayes and Caleb Followill, model Lily Aldridge, UK basketball coach John Calipari, and former boxer Laila Ali will also show up. 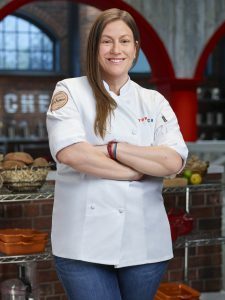 Chefpreneur Ouita Michel (Holly Hill Inn, and Honeywood are a few of her mainstays) is a guest judge on the season. Despite the star power, the scenery will undoubtedly steal the show. 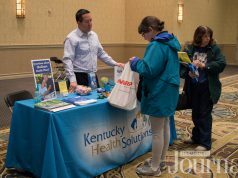 Kentucky has been known for its beauty of rolling green hills, white horse fences in the country, and picturesque sunrises/sunsets. The crew didn’t confine their visits to the “big cities.” Yes, there are episodes set in Louisville and Lexington, but they also went to Lake Cumberland, Maker’s Mark Distillery, and many other places that really show the essence of Kentucky. 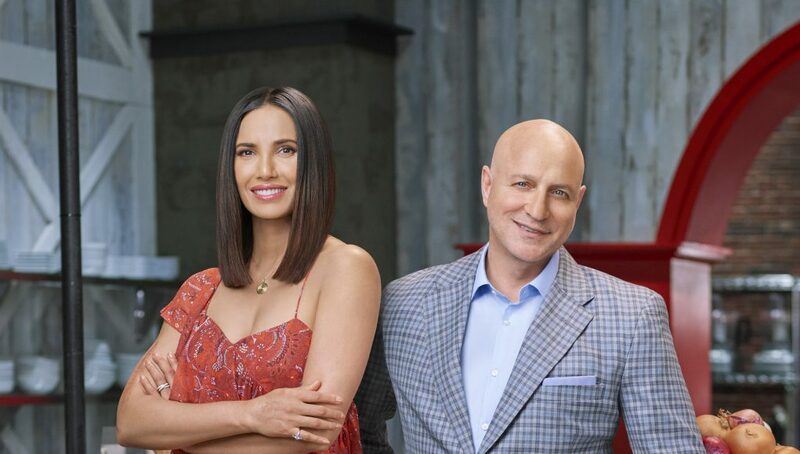 Season 16 of Top Chef begins on Thursday, December 6 at 9 pm on Bravo. 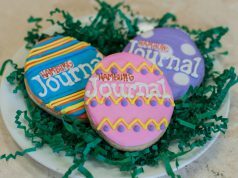 Previous articleHow Much Did the WaterStone at Hamburg Sell For?